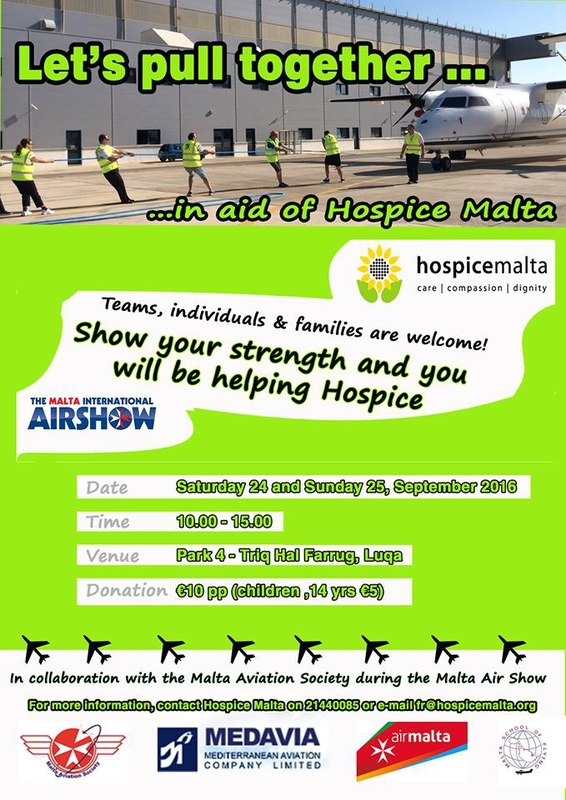 Plane pull for Hospice Malta a charity that helps terminally ill Maltese. The event will be held on Saturday 24th and Sunday 25th of September from 10am to 3pm. My pull attempt will be on Sunday 25th of September at 2:45pm. Everyone is welcome to come and donate what they can to this great charity and participate in the plane pull event!